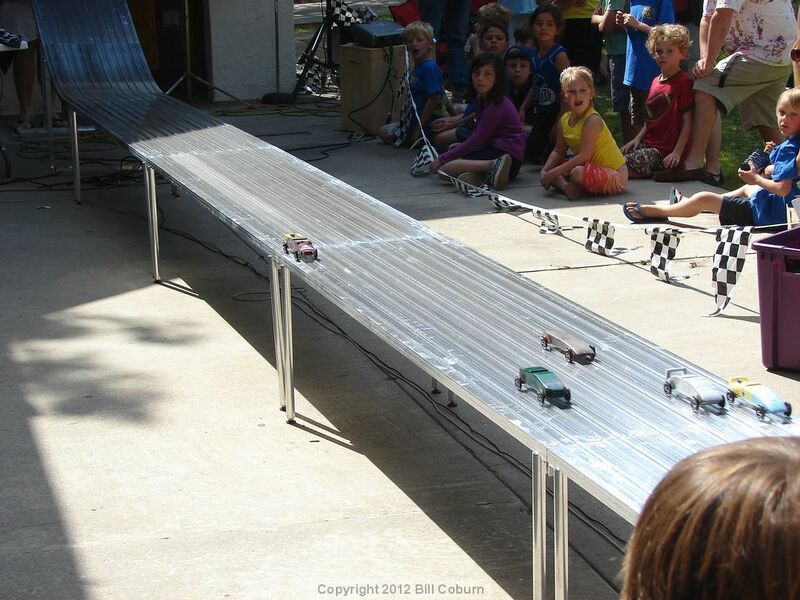 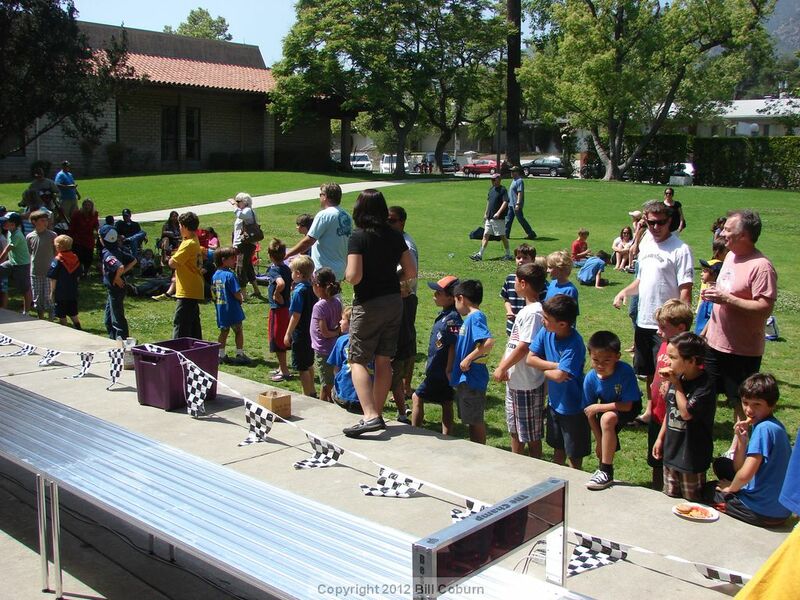 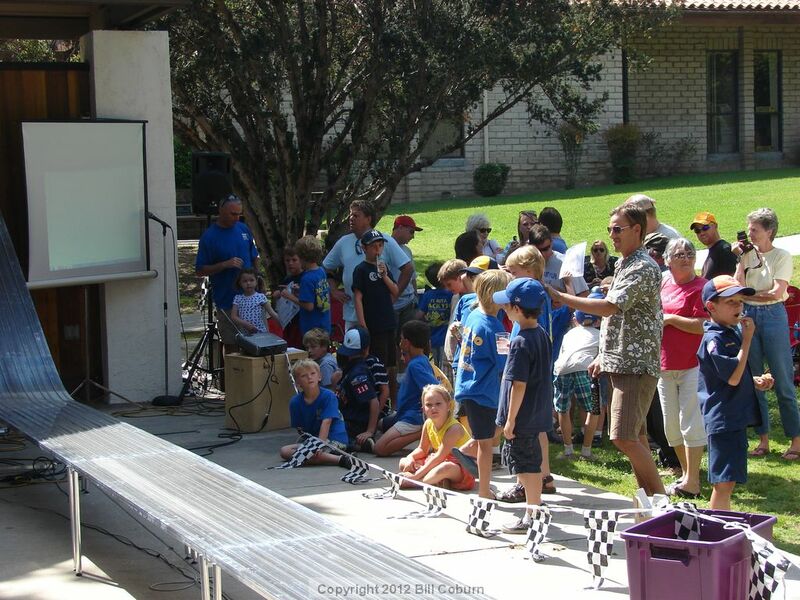 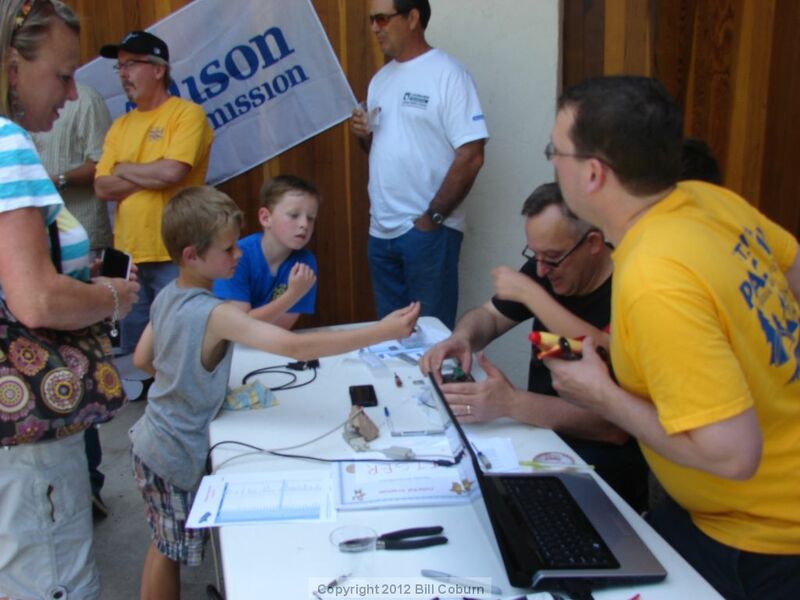 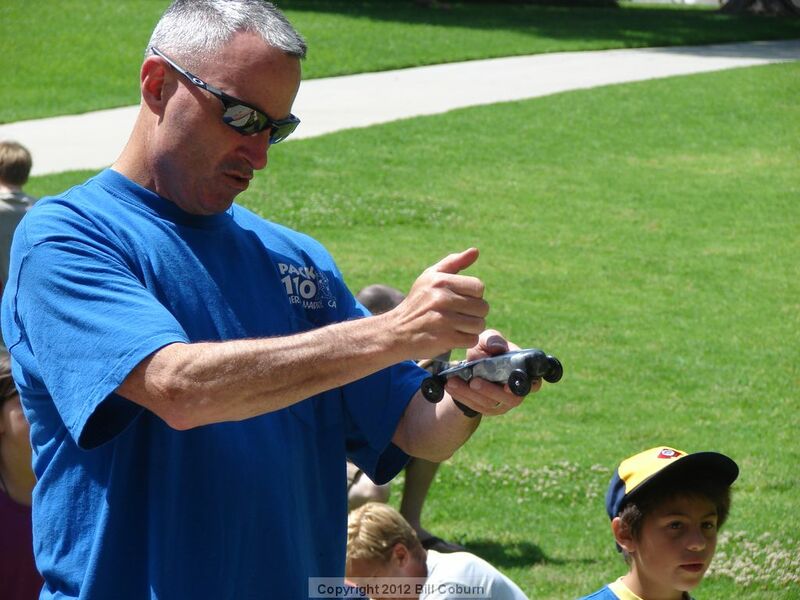 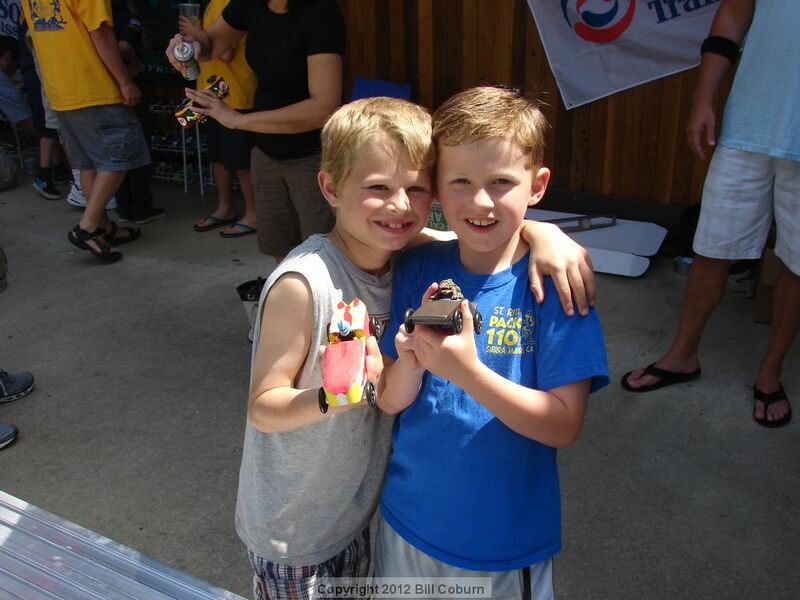 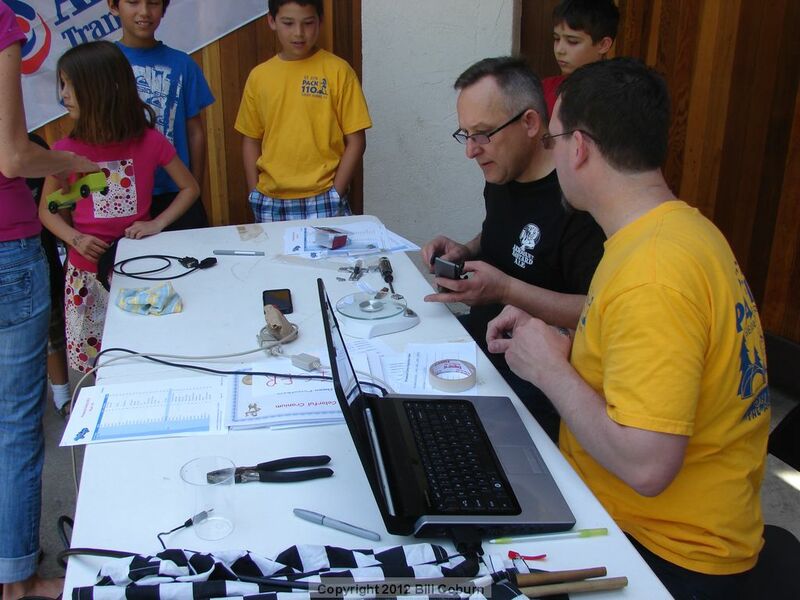 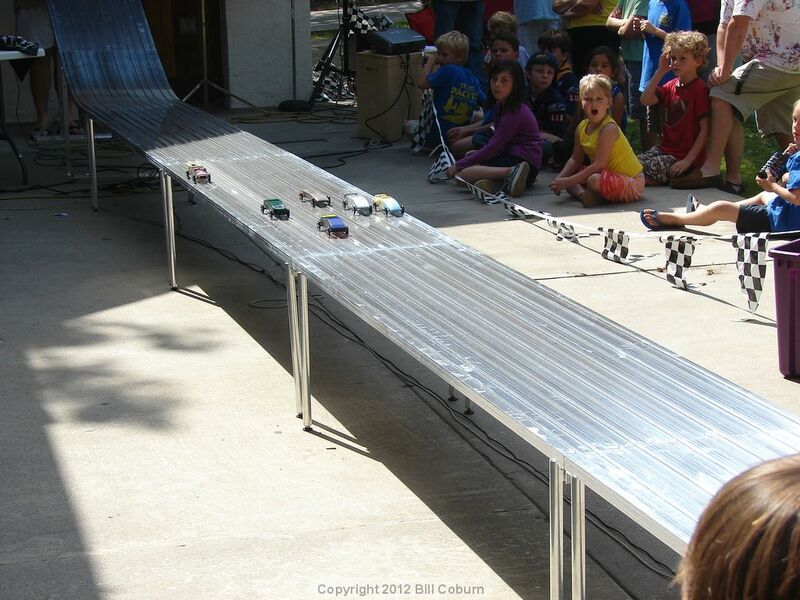 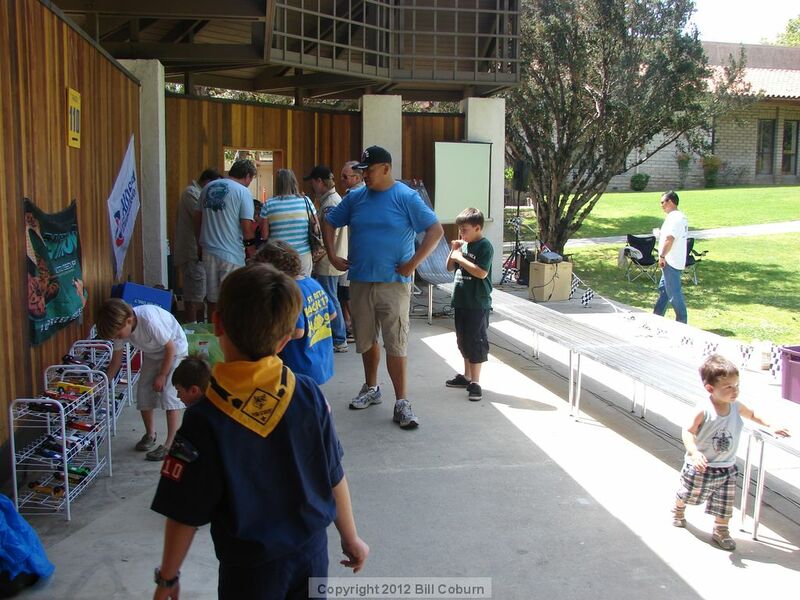 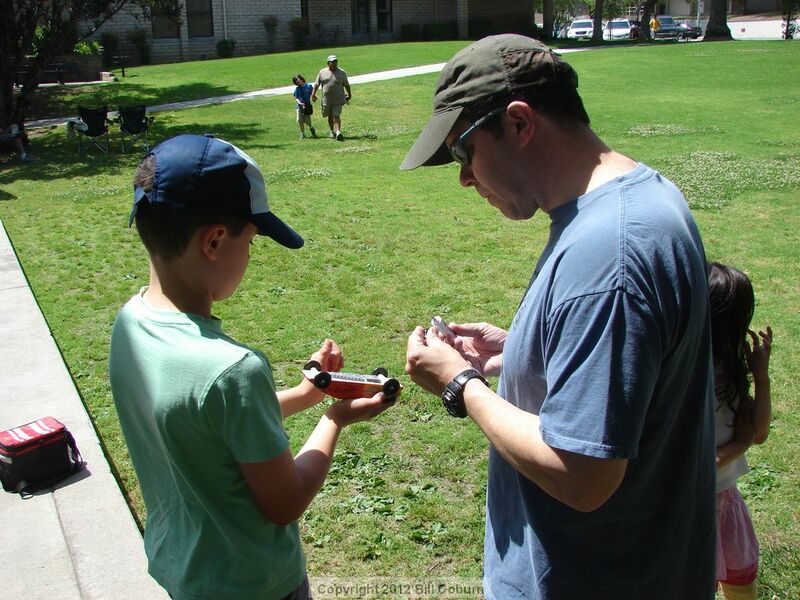 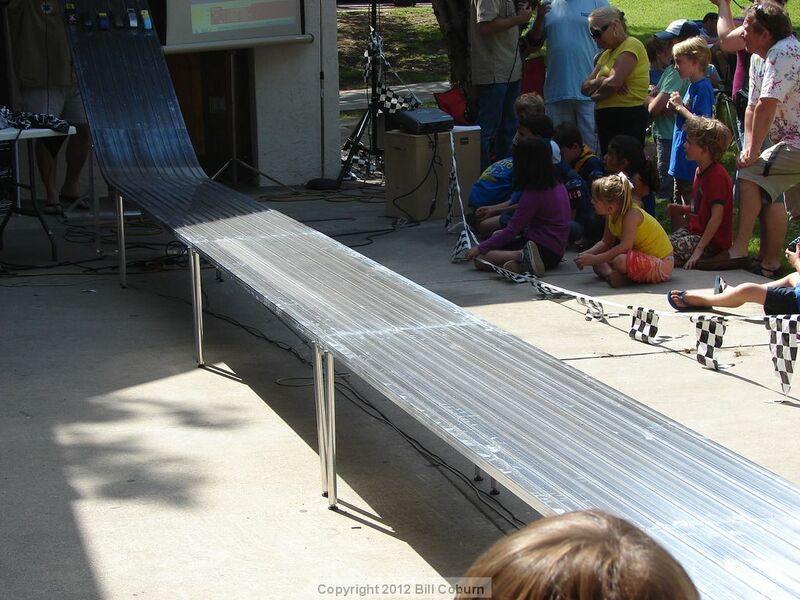 Posted 4/30/12 – Cub Scout Pack 110 of St. Rita held a pinewood derby at the bandshell in Memorial Park, complete with high tech tracks and timers, on screen race results and the most important element seen on the faces of pretty much every kid that participated: FUN! 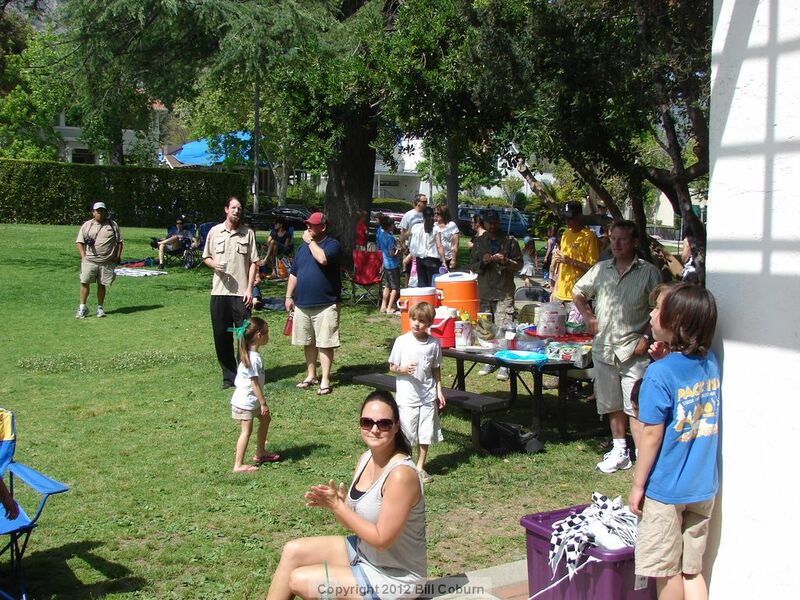 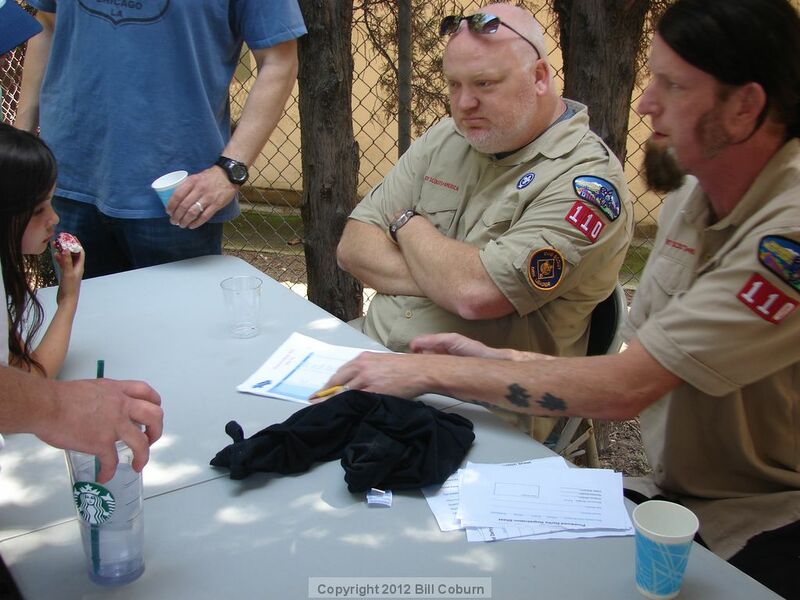 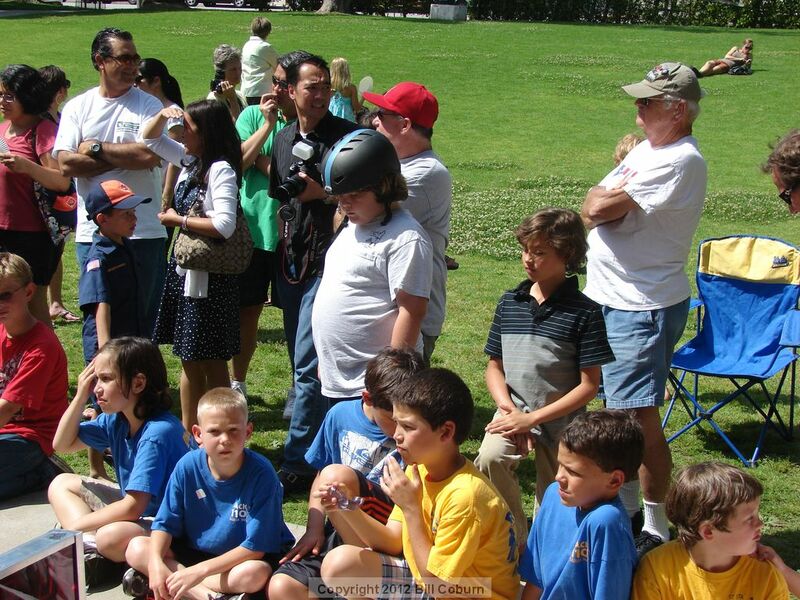 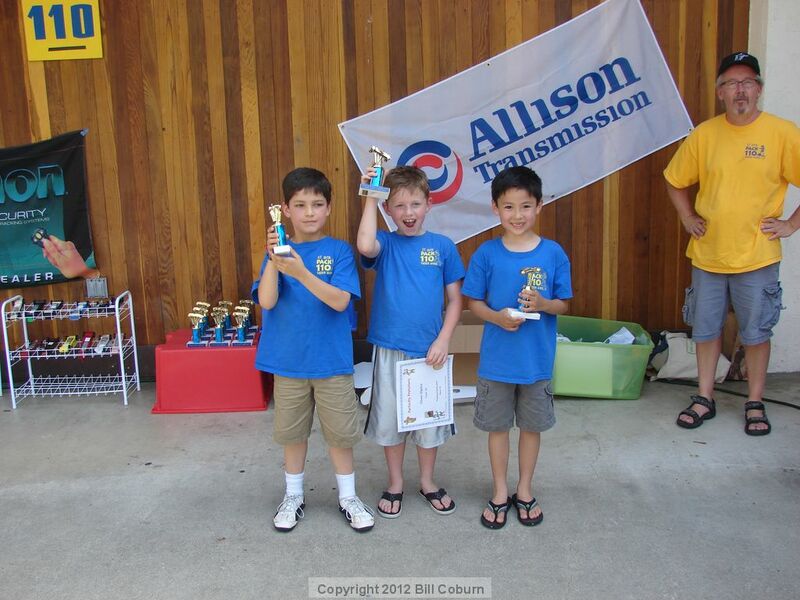 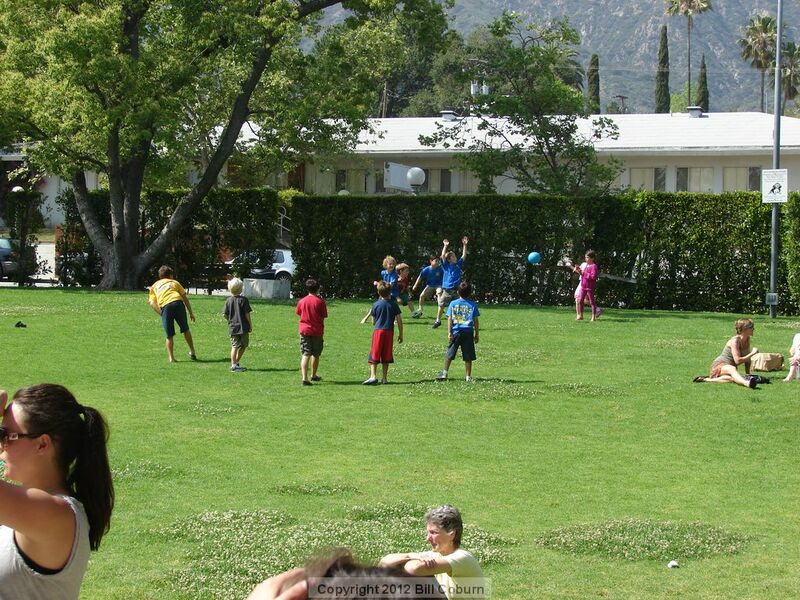 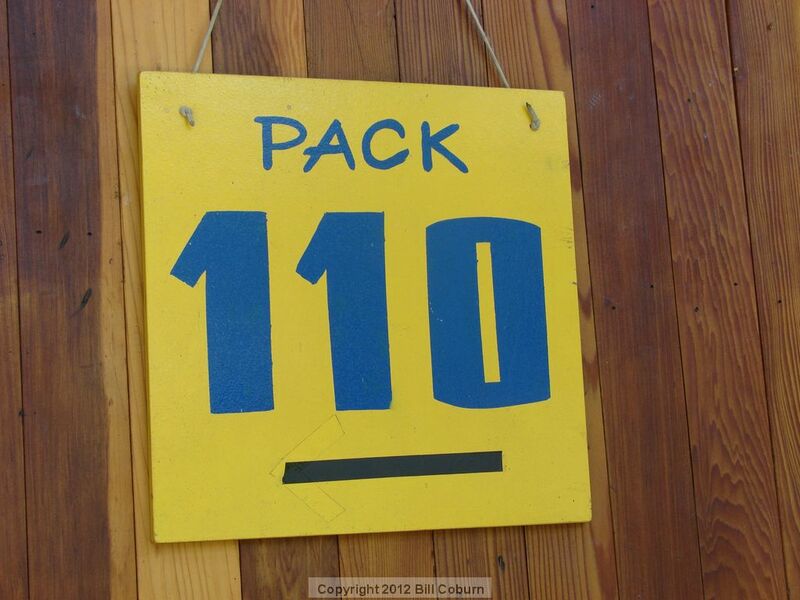 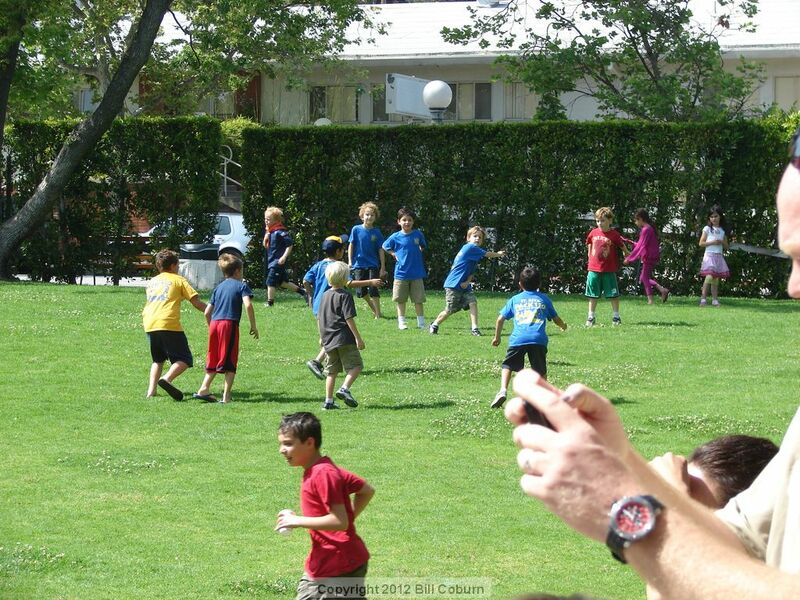 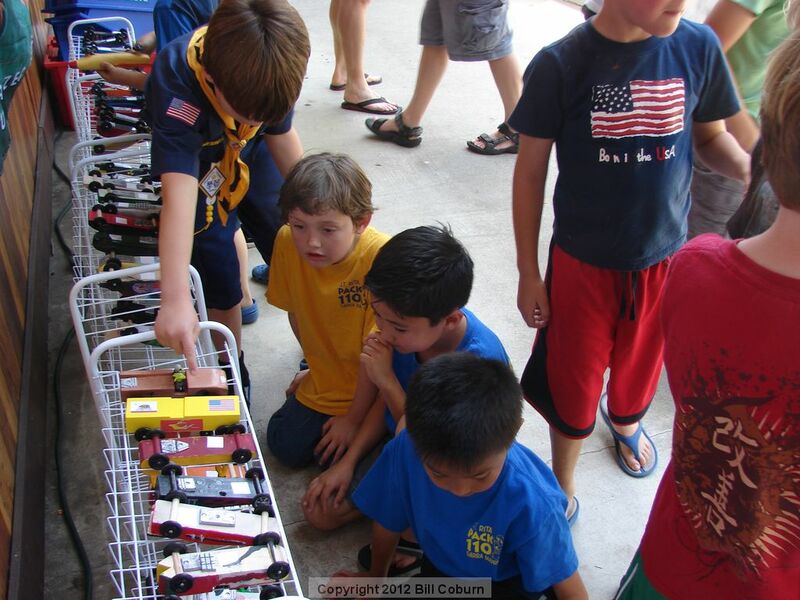 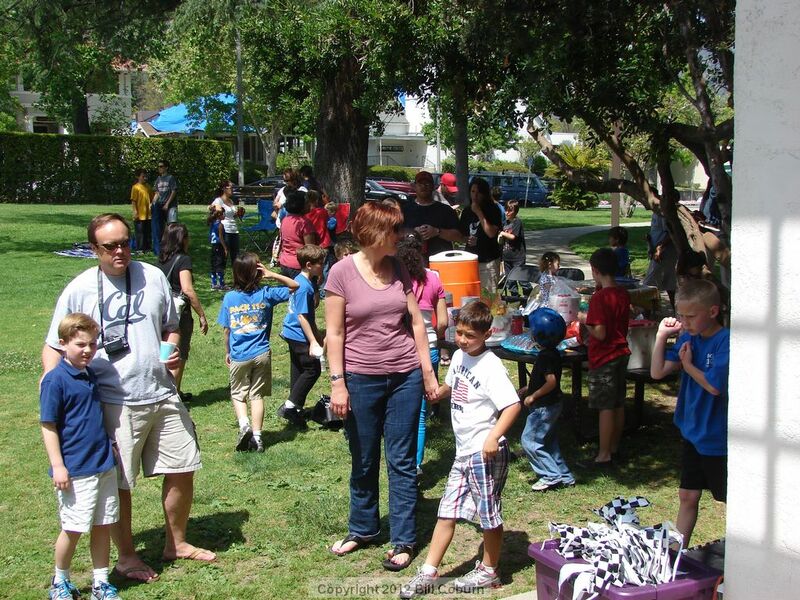 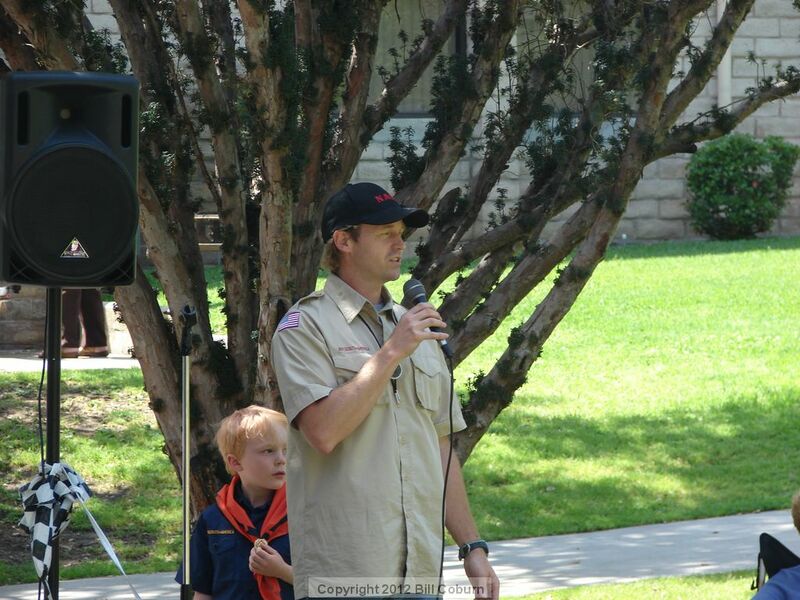 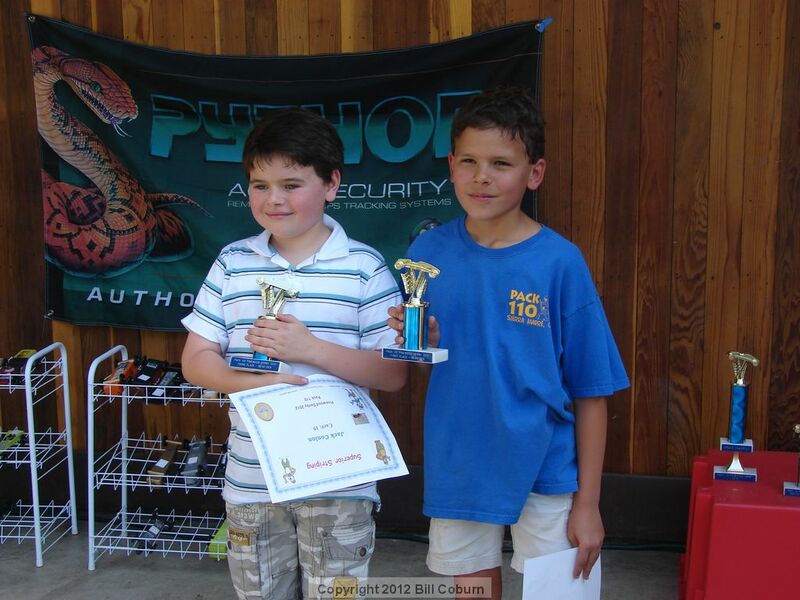 “Races” were divided into heats by age group (Tigers, Wolfs, Bears, and Webelos). 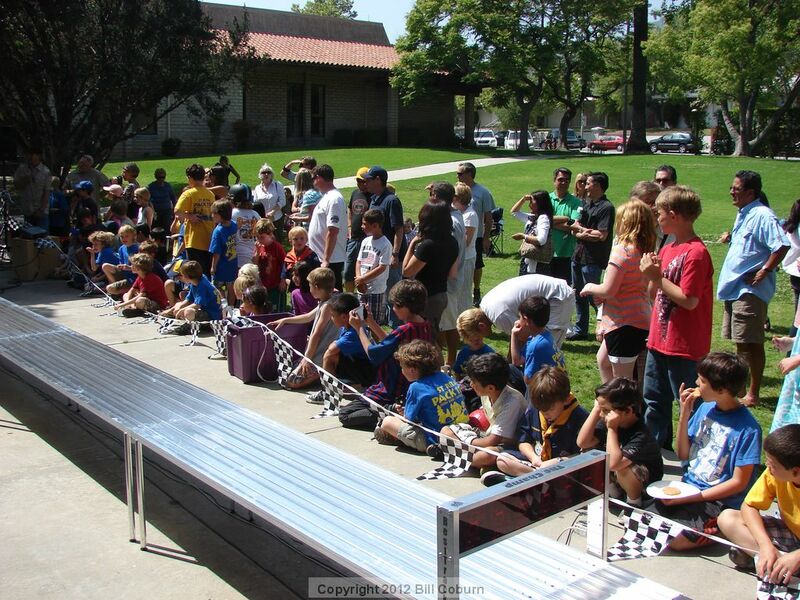 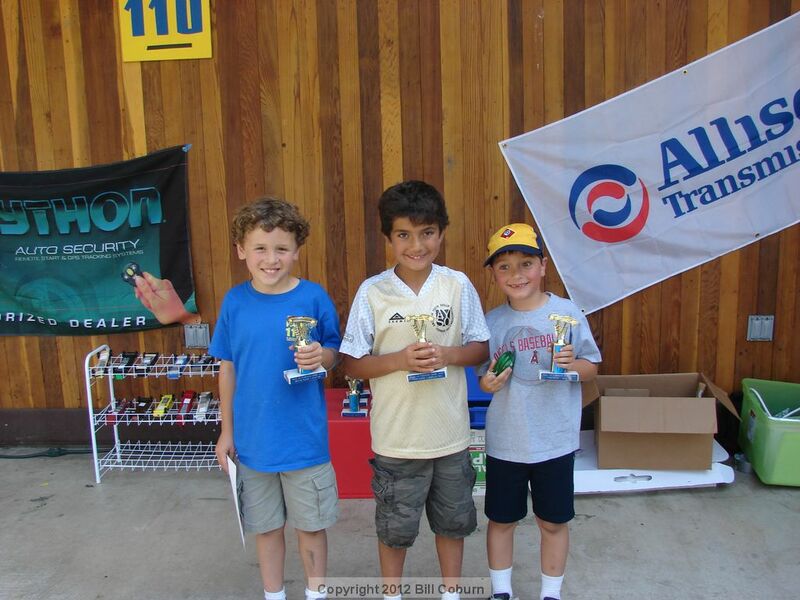 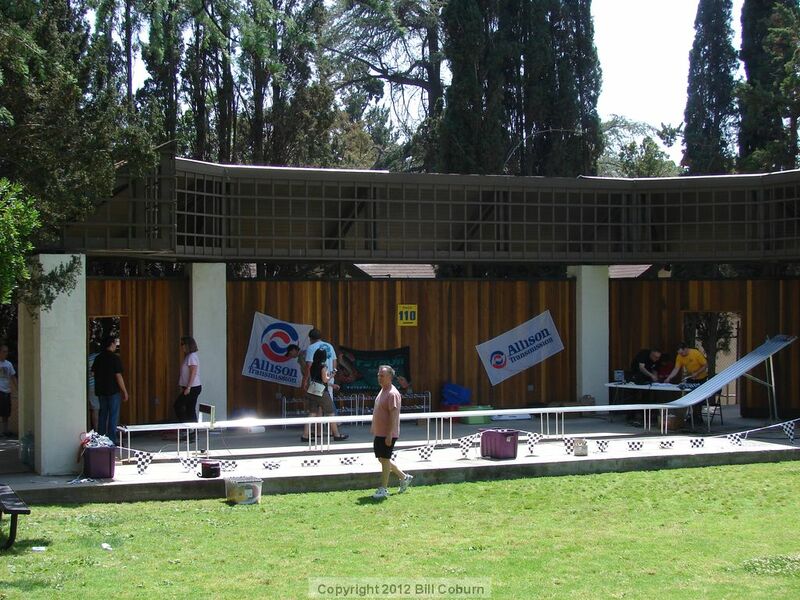 Then there was pizza, followed by the finals, with the top racers from each age group competing against each other. 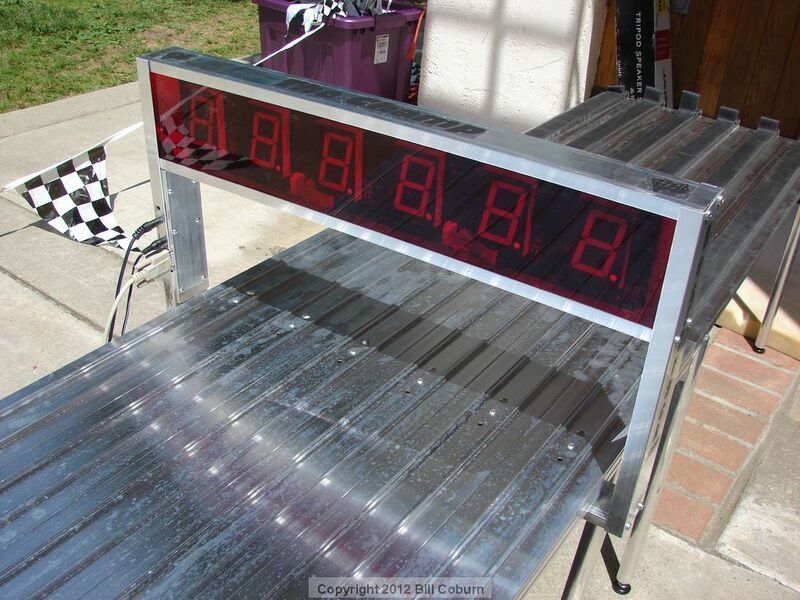 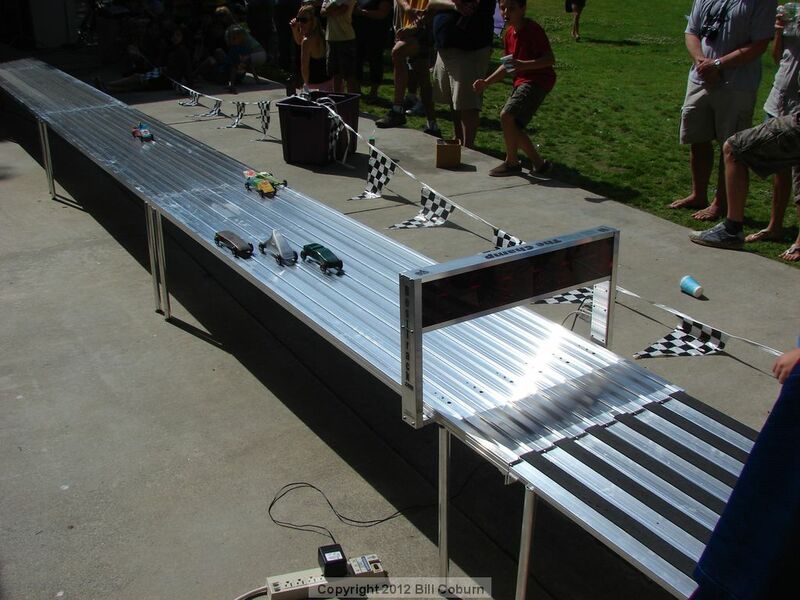 The track relayed information to the lap top that calculated equivalent speeds based on track times, with the highest equivalent speed recorded reaching in excess of 160mph! 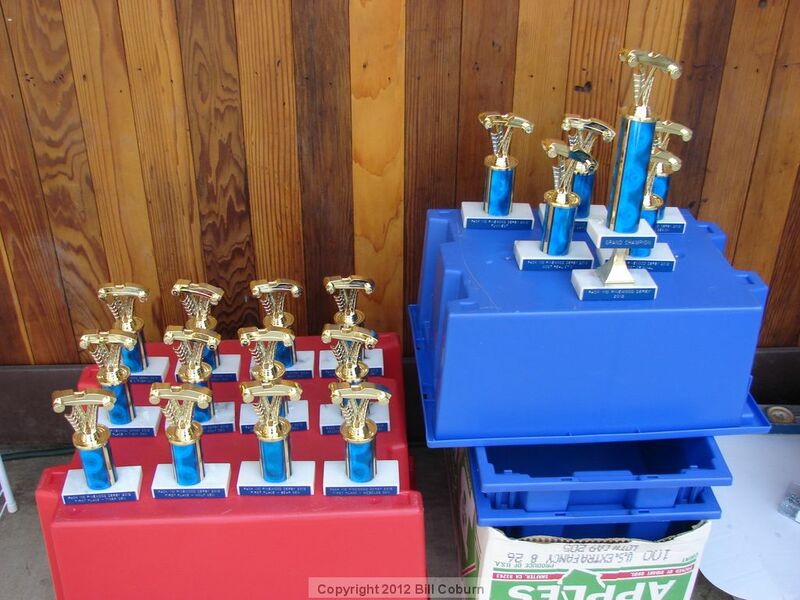 Here are a couple videos, the first one is a little longer and has some instructions and explanations, followed by video I shot of the Tiger heats, the second video is of the Wolfs, Bears and Webelo heats. 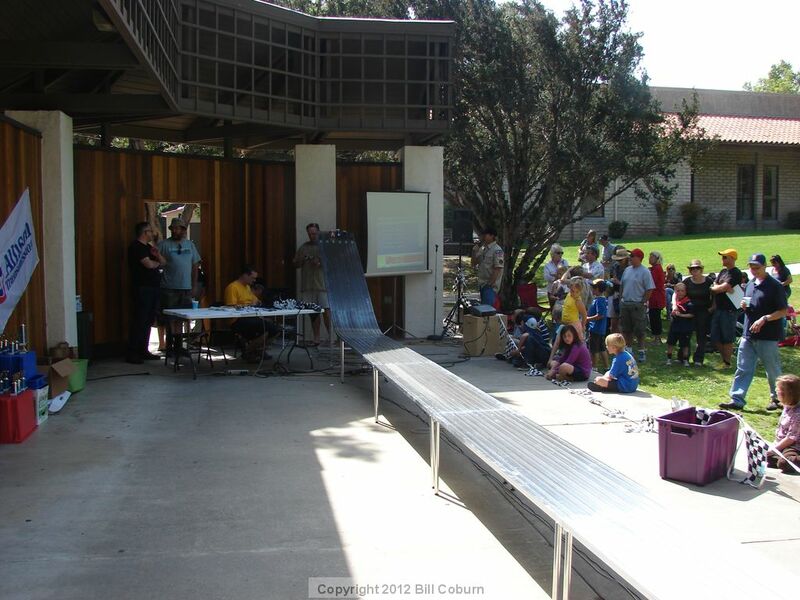 Below them, there’s some photos I took of the event, as always, click to enlarge. 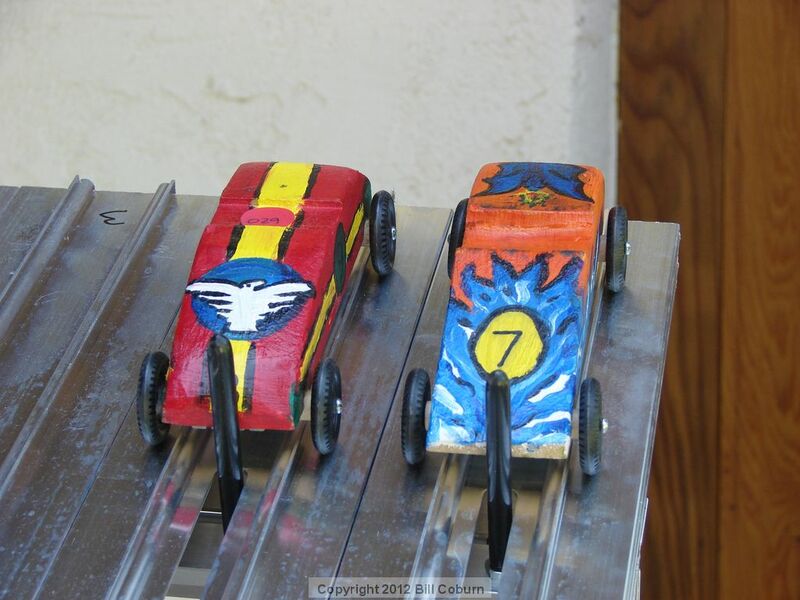 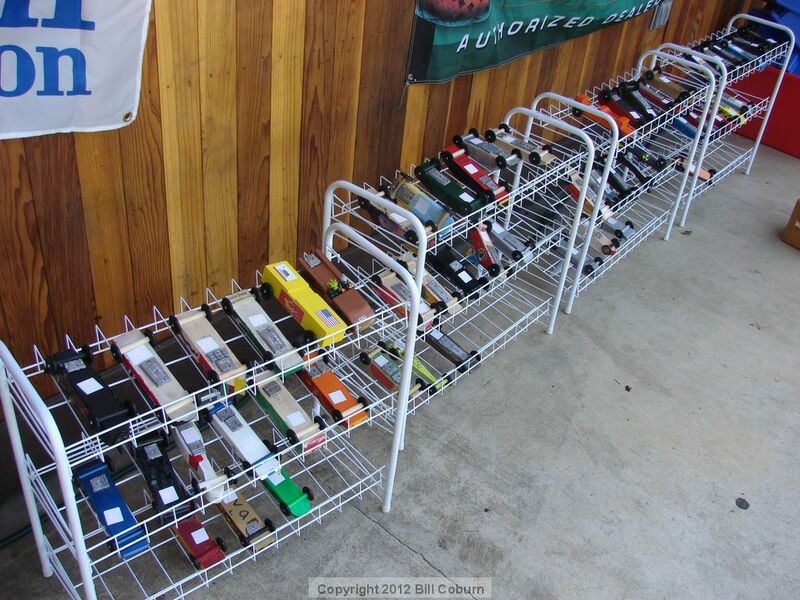 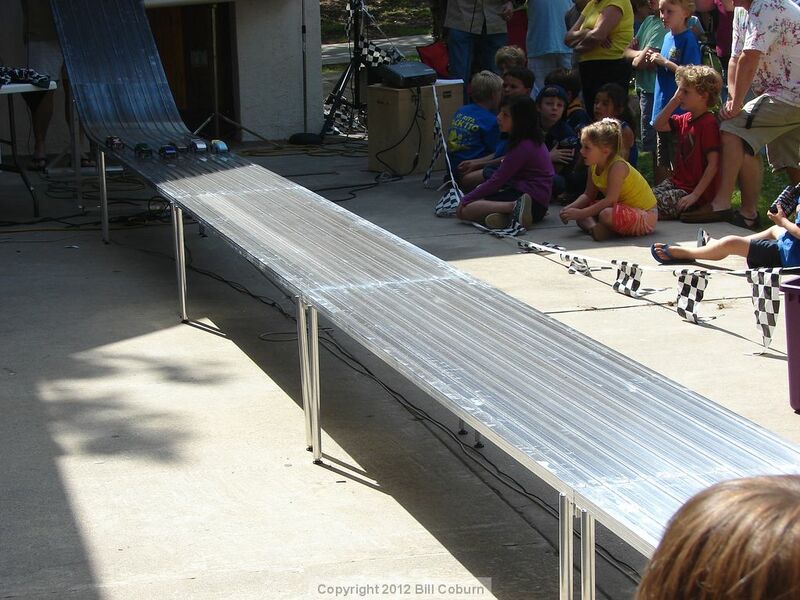 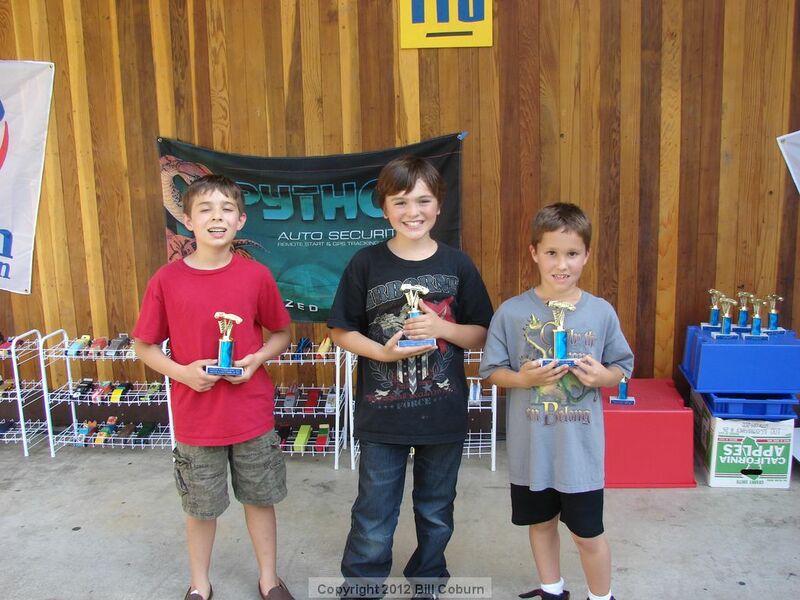 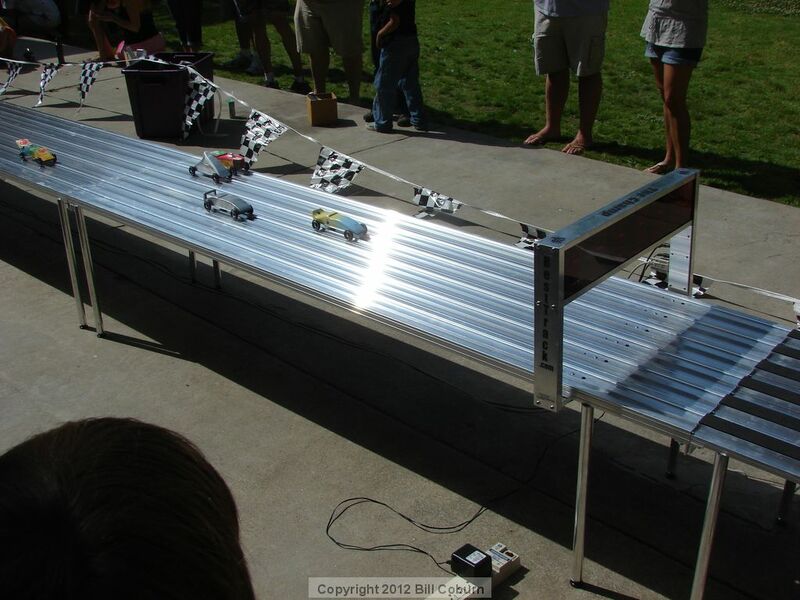 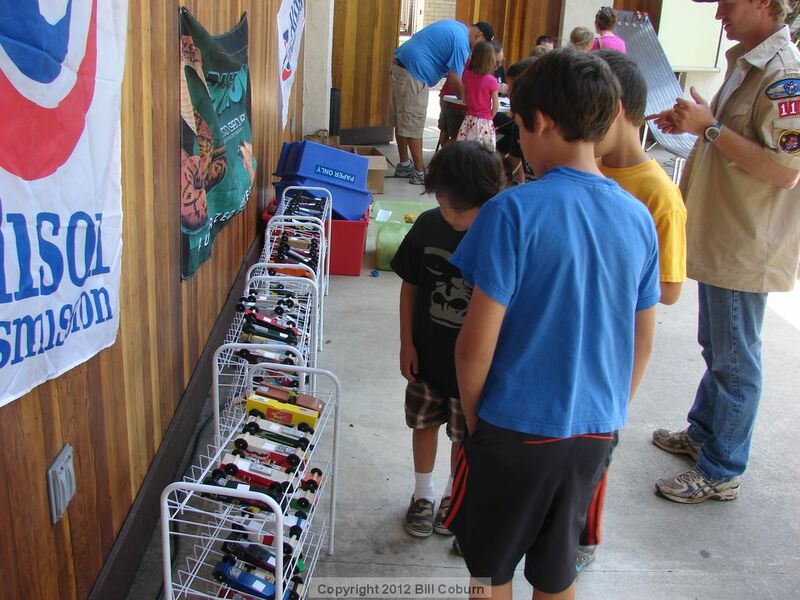 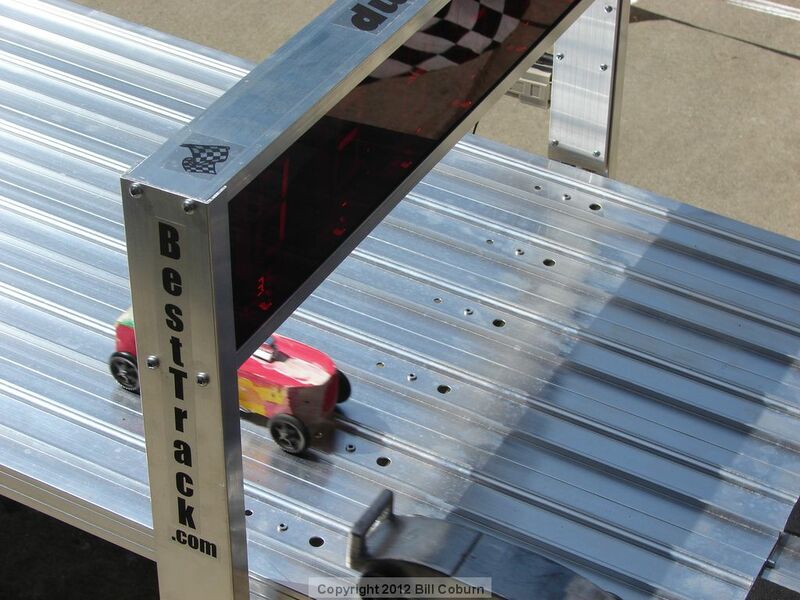 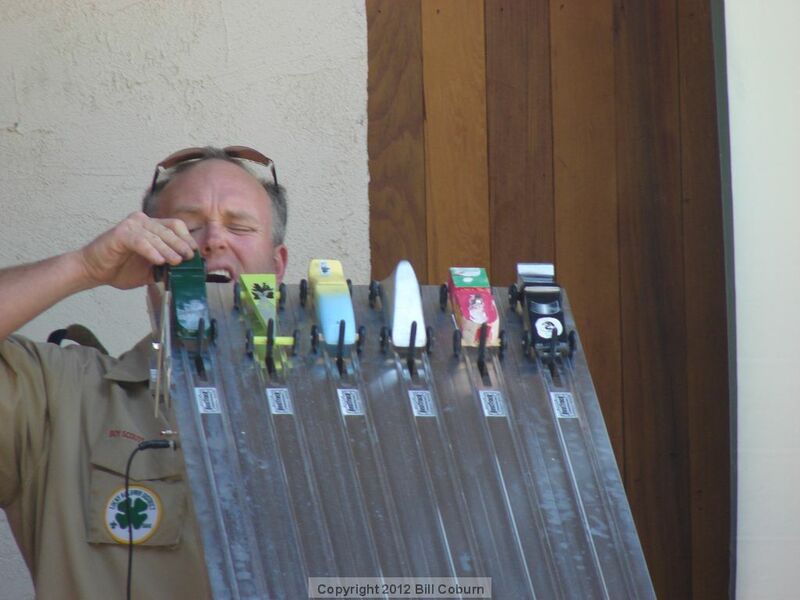 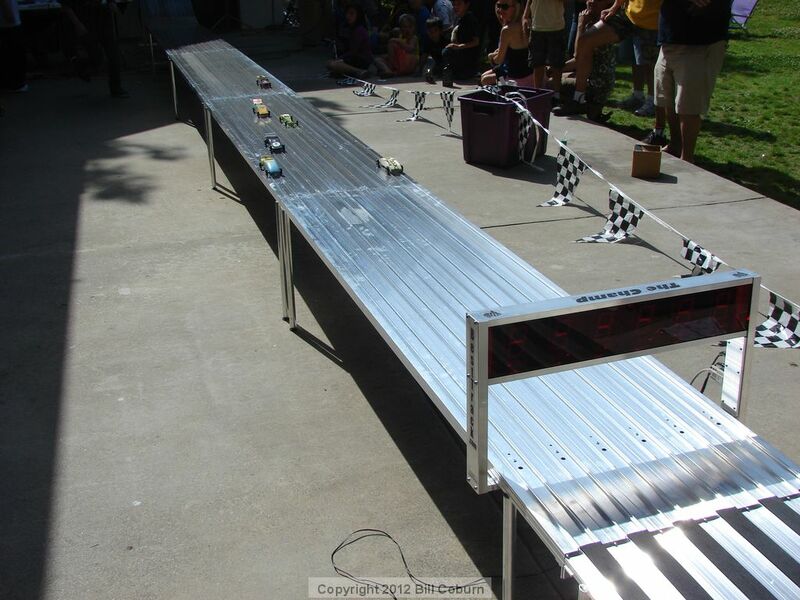 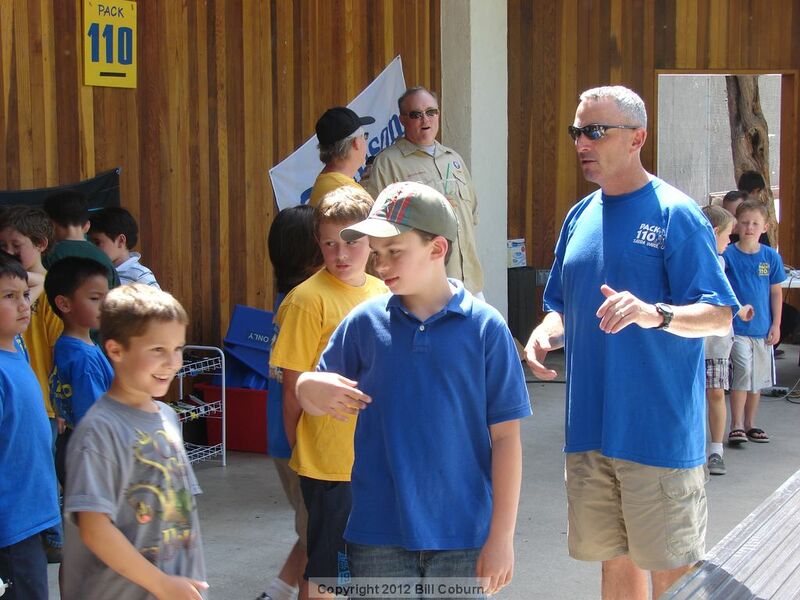 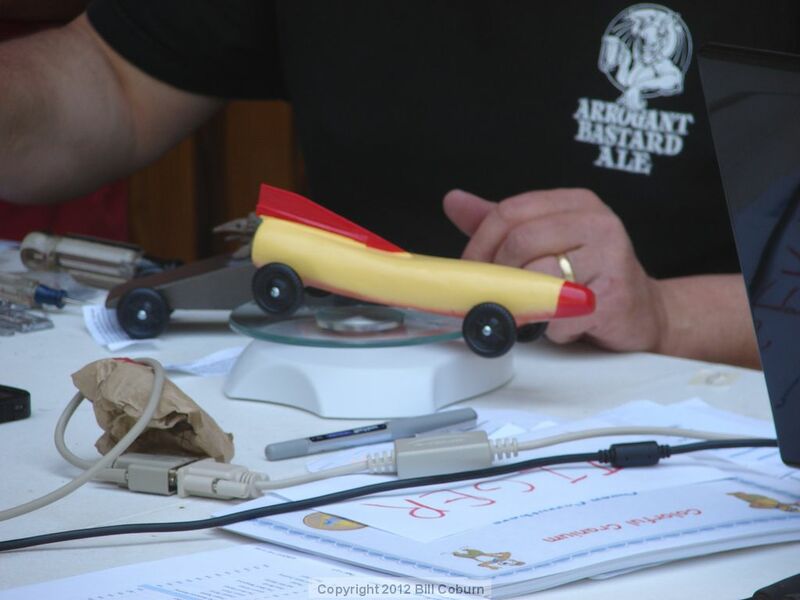 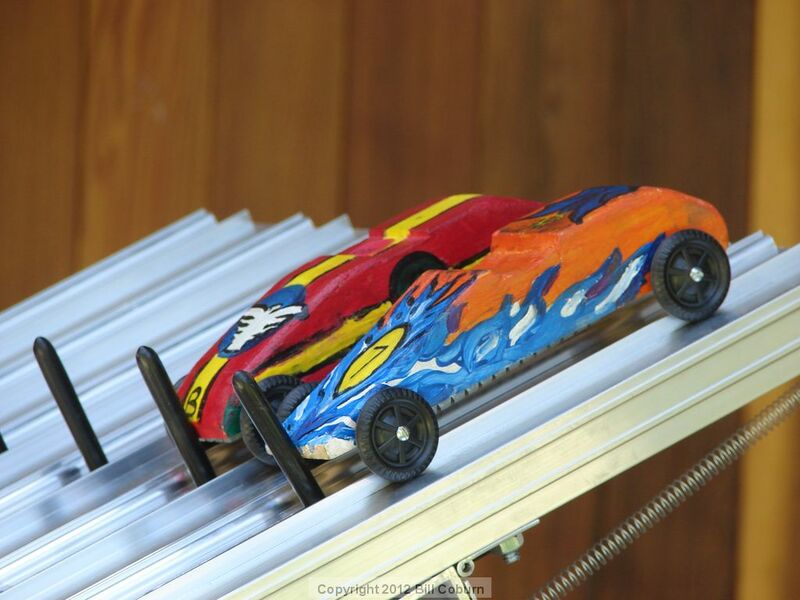 1 Comment on "Pack 110 Holds Pinewood Derby, Photo Gallery"
What a fun day, the cars looked great and the kids were so proud! 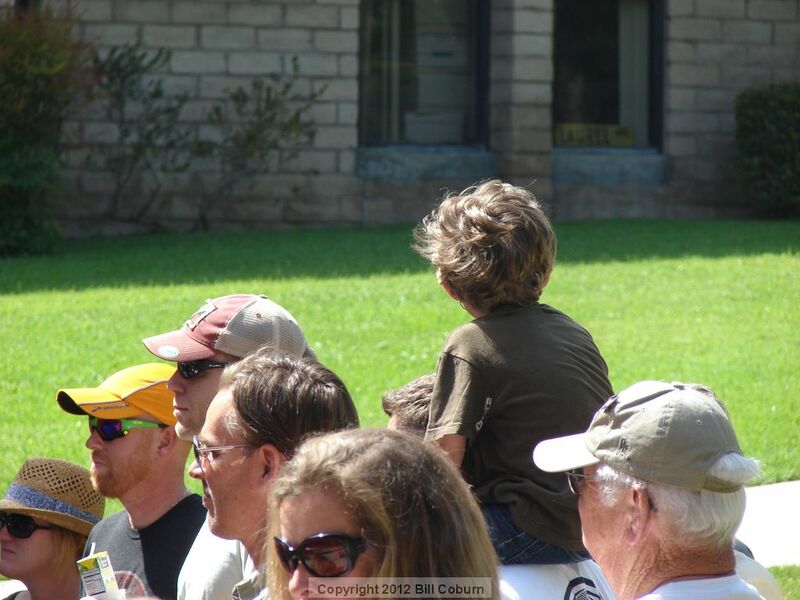 Thanks for coming out, Bill!